One Room Challenge - Week 1 and My New Home Office! One Room Challenge – Week 1 and My New Home Office! Okay, to say this post makes me both nervous and excited is an understatement!! I’ve wanted to do the One Room Challenge for a couple of years now, and for a myriad of reasons, I always seem to back out. It’s too soon, it’s too much, I’m not ready, etc. Well, this time, I’m doing it! And for the record, it’s still too much, too soon, and I’m not ready, haha! But you know how they say you’re never ready for your first child? I think you’re never really ready for the One Room Challenge, and so I’ve decided to just jump off the high dive and do it! For those of you not familiar with the One Room Challenge, twice a year interior design/decor bloggers come together to tackle re-doing one room in a six week period, hosted by Linda of Calling it Home. That’s six weeks to pull off a complete room transformation (and yes, just writing that makes my hands sweat!) Because for those of you who know me or who have been here awhile, you know I am not a fast decision maker. I often hesitate, procrastinate, and over-analyze my design decisions. However, by doing this challenge I won’t be able to do that. I will have to make decisions, and make them fast! 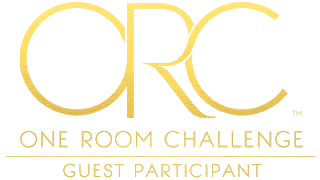 Each week we all share our progress by linking them up together over at the One Room Challenge website, where you can see everyone who is participating. That’s six Thursday posts where you’ll be able to see everyone’s progress, with the Final Reveal happening May 10th! So what is my One Room Challenge? I’ll be designing a new home office! I’ve been blogging for a few years now, and I spend a lot of my time working but I don’t have an office. Yet. The plan is to make my daughter’s former room our new home office. That’s the plan. Now let’s just hope I can do it! 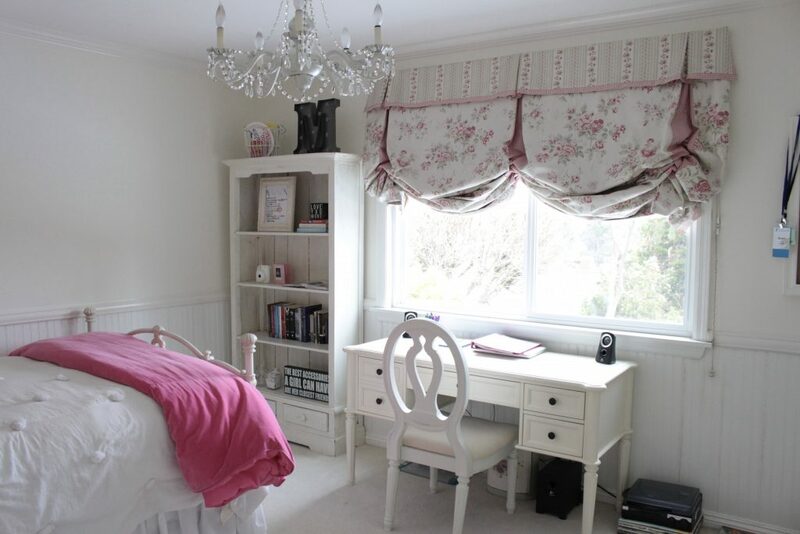 A cute teen/tween room, but definitely not ready to be my office! 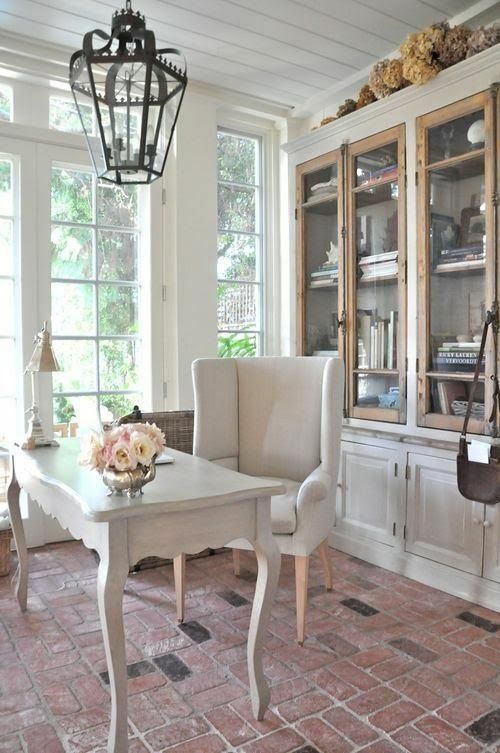 Not the rock wall obviously, but I love the feel of the white chippy cabinet mixed with vases, books, and architectural elements. 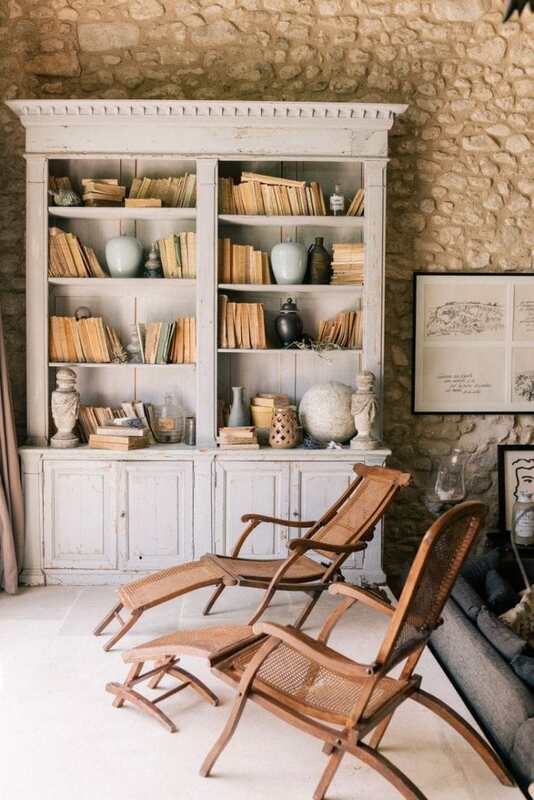 An antiques store in the South of France via Gal Meets Glam. And here’s another inspiration photo. 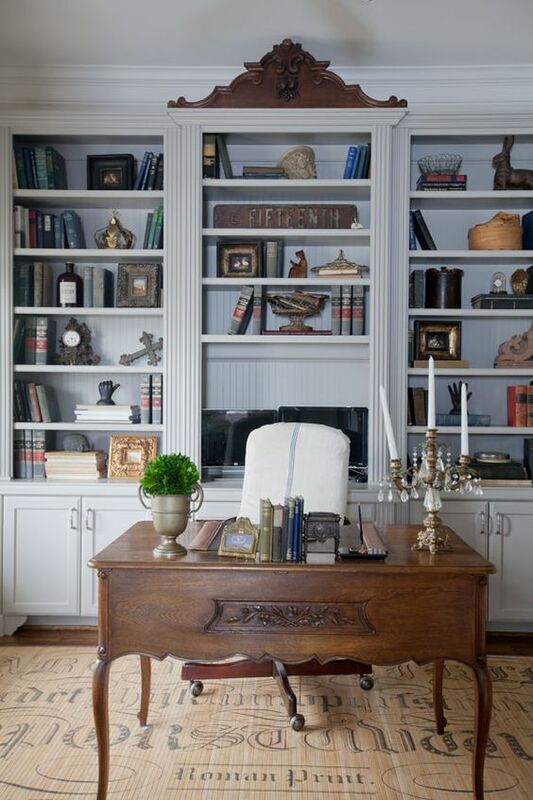 This office belongs to my friend Anita at Cedarhill Farmhouse and I love the white built-ins with lots of books and a natural wood desk. And that’s it folks! I hope you’ll follow along for the next six weeks as I transform this space! Wish me luck! Be sure to check out some of the other guest participants linking this week! 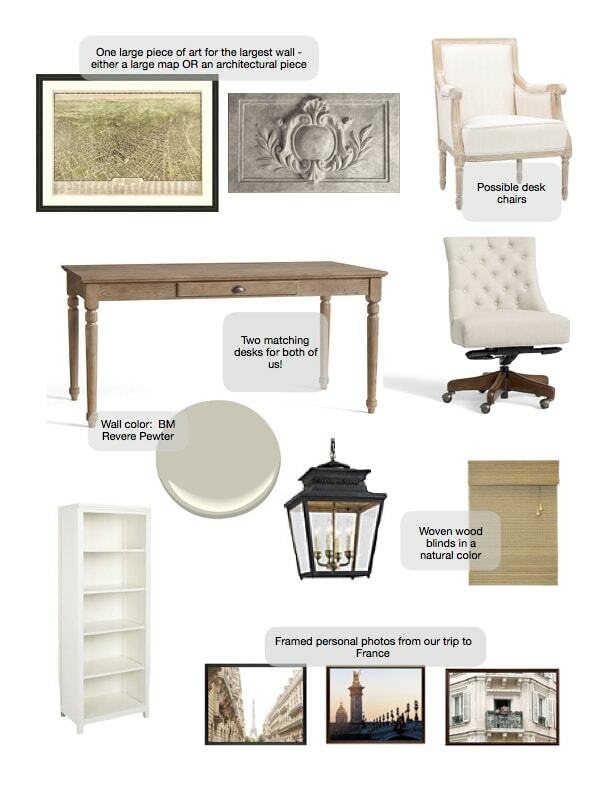 Love the choices you’ve made on your Mood Board and looking forward to seeing the finished room! I’m so excited you’re doing this round of the ORC Sheila! The one thing we really miss from our previous houses is a home office. I can’t wait to see your makeover play out over the next few weeks!